According to Nemertes research, 55% of organizations rate high-speed network connectivity as the most important element in next-generation meetings, and 80% are using, evaluating, or planning for modern team collaboration tools. 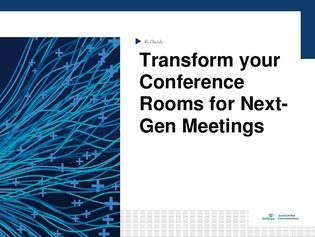 This expert e-guide explores the importance of knowing who owns the projects for transforming conference rooms to meet the collaborative and network performance demands of modern meetings. Find out what IT leaders can do to create a consistent, positive meeting room experience for end users with a unified strategy for coordinating collaboration and communications tools.